Though this is one statement, it encompasses a lot. My depression and anxiety have been besting me pretty regularly as of late. Running and eating less has been helping me with that, but it’s still there. In 2017 I need to figure out a way to get through it; to be okay. I can’t let mental problems control quite so much of my life. Running helps me to be better, but it doesn’t feel like enough. I’ve been lifting weights at the gym pretty regularly, and I think that is helping me as well. My mum told me that she does a hundred sit-ups every day when she wakes up. Not only does it start her day with exercise, but it strengthens her core and is helping her to lose weight. Plus who doesn’t want abs? I can’t do 100 sit-ups, but I can do 30. So starting on Sunday (this Sunday, before it’s even 2017; crazy right?) I will be doing 50 sit-ups, so I will be immediately pushing myself, but not to a dangerous point. With that, I will still be running three times a week (though it is four this week because I only went twice last week). My hope is that more exercise will help me to feel better because of endorphins and an improvement in my weight. With running and a heightened awareness of what I put into my body, I’ve lost 2 pounds this week. It feels good to be losing again. I’ll be keeping up with my dietary changes, but I won’t be logging my food. When I started logging my food early this year, it became obsessive and I limited myself in a way that became borderline dangerous. I don’t want that anymore. I want to lose about 30 pounds, (which is still a healthy weight for my height) and maintain it. If I were to log my food the way I was, I would lose weight more quickly, but it would be more difficult to keep it off (which I’ve noticed since I’ve moved down here), and it could get dangerous. I want to be better. I want to feel self sufficient and capable, and I want to feel good. I don’t expect to feel great about myself by this time next year, but I want my good days to outnumber my bad, which hasn’t been the case for quite some time. So here’s to improvements. 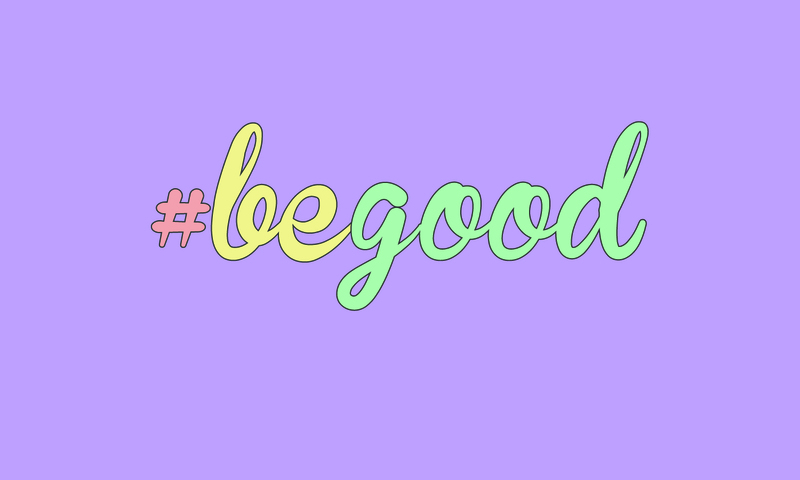 I’ll be using the #begood to remind myself and track positivity that I feel from this point forward.